Well, after a long a season, we’ve come down to the last few weeks before the playoffs. As for my team, it’s been another whirlwind of maneuvering the 10-day disabled list, while trying to decide whether to cut bait on players, or hold onto them. I’m just numerous leagues added an extra DL slot or two after last season’s debacle, but even then, three disabled list slots turned out to be too few. The teams I manage felt the most damage on the pitching side of things. I feel numerous pitchers hit the 10-day disabled list, and for a second-straight season I had Kershaw and Syndergaard together on the DL. Still, I managed to find gems like Ross Stripling and Dereck Rodriguez. Over the winter, I’m sure there will be talks of having, at the minimum, five disabled list slots. I believe this should help greatly. This number has proven great for Major League Fantasy Sports leagues, and I believe every league would be wise to entertain this setting. This article will be my last of the 2018 season, and I must admit, it’s been a great one. Numerous players turned out to be waiver wire gems, and we saw another season in which youth took the league by storm. With just a few weeks left before the playoffs start, there are still players that should be added to help with the race to the championship. After getting hammered on Reddit for not digging deep enough for hitting call-ups other than the usual, I figured this week I will try to list my top-five pitchers that aren’t showing up on everyone’s list. This week, I want to focus on pitchers in this week’s addition of “That’s Amore!” 2018 Pitching September Call-Ups. It remains to be seen if he truly will be called up when rosters expand, but now is the time to get a glimpse of Keller versus Major League hitters. He has nine starts under his belt at Triple-A Indianapolis and the results have been mediocre. Through 46.2 innings pitched, Keller has gone 3-2 with a 4.63 ERA, 1.50 WHIP, and [51:20] K:BB. The most glaring statistic is the .269 batting average against. Hitters have been able to make contact against Keller, and this is something that can be taken advantage of at the next level. However, Keller’s stuff is impressive. His mid-to-high 90s fastball has great movement, his curveball can be thrown for a strike, and he’s always possessed an advanced changeup. The key for Keller is locating his pitches. He won’t be able to get away with missing his spots, and it’s been apparent at AAA, advanced hitters will make pitchers pay with mistakes. Keller’s stuff is impressive, and it’s more learning to pitch effectively against Major League hitters. His talent alone made him a second round pick, and the Pirates have managed to develop pitching fairly well. While there will be a learning curve, I suspect Keller could have success if called during September. Being around other Major League pitchers, and experienced veterans, will only help his development, and Francisco Cervelli is one of the better veteran catchers in Major League Baseball. Leagues that have specific positions for reliever could hit pay dirt with Poche. He’s been one of the best relievers in the minors and through three levels, in the minors, has pitched to a record of 5-0 with a 0.72 ERA, 0.71 WHIP, and 104:18 K:BB. While he may not possess insane velocity, as he pitches in the low-90s, his deceptive delivery allows him to hide the ball well. It remains to be seen if the Rays will use him in closer situations, but at the very least he could be a dominant setup man or used in any high-leverage situation. We’ve already seen how vital left-handed relievers such as Andrew Miller and Josh Hader are, and Poche could have the same effect for the Rays. If your league counts holds, as well as saves, or you’re looking for a reliever with the ability to strike batters out, Poche is definitely worth a look once called up to the Majors. Even if he doesn’t get the saves this season, he could be in line to win the closer role out of Spring Training. Again, he may not possess the high-90s fastballs, but he gets batters out and owns one of the highest swing and miss rates in the Minor Leagues. Before getting his call to the White Sox, Michael Kopech was leading the Pacific Coast League, and Triple-A baseball, in strikeouts. Since, Las Vegas’ Drew Gagnon has taken over the league with Josh James on his tail. After a quick start in AA, James quickly found himself in AAA absolutely feasting on opposing hitting. Opposing hitters have only hit .187 against the righty, and he’s pitched to the record of 6-4 with a 3.40 ERA, 1.09 WHIP, and 1[33:39] K:BB. His high-90s fastball, sharp slider, and changeup give him three pitches he can throw consistently. Adding James to the Major League roster would give the Astros even more depth in their starting rotation, and an electric arm out of the bullpen assuming he makes the playoff roster. More than likely, he’s owned in a number of dynasty leagues, but if you are playing in redraft, or keeper leagues, he could still be out there. At 25 years-old, he ready for the jump to the Majors and he could give the Astros another dynamite arm to pair with Justin Verlander and Gerrit Cole. Even then, his performance will have a direct correlation to 2019 drafts. If you’re looking for a young, electric arm in your leagues, there are very few better options than James. If the season ended today, the Brewers and Cardinals would play the Wild Card game. With the Rockies and Phillies nipping at their heels, the Brewers will be looking to shorten games and get a lot of help out of their bullpen. Zack Brown immediately enters the picture to help the Brewers bullpen. He’s pitched 119.2 innings in Double-A, going 9-1 with a 2.48 ERA, 1.05 WHIP, and 1[13:35] K:BB. We all know the success Josh Hader has had and adding Brown to the mix allows the Brewers another electric arm out of their bullpen. He brings a mid-90s fastball that has great sink accompanies with a curve. His changeup has been his out pitch after setting up hitters with his electric fastball. His max effort delivery will more than likely keep him in the bullpen, but with Major League teams putting extra emphasis on bullpens, this will only pay huge dividends for the Brewers. If you’re looking to lengthen your bullpen with high strikeout ability, take a shot on Brown. He could get a few saves here and there. For leagues that have full bullpens, Brown will be a major target if he wins a job out of Spring Training in 2019. The Braves currently hold a three game leading in the National League East division. That being said, their organization has an abundance of pitching depth in the minors. Kyle Wright was the fifth overall picking in the 2017 draft, and gives the Braves numerous options this September. He could start or be a dynamic arm out of the bullpen. He’s pitched five games in Triple-A compiling a 2-1 record accompanied by a 2.70 ERA, 0.82 WHIP, and 26:8 K:BB. Hitters have been held to a phenomenal .152 average. All this comes after tearing up Double-A through 20 starts. With the Braves potentially having an open spot, or two, at the back-end of their rotation, Wright will be auditioning for a starting job for the 2019 season. Still, with the Braves aiming to win the division, and gear up for the playoffs, Wright should get a lot of work in September. Regardless if he starts or comes out of the bullpen, his swing-and-miss stuff makes him a solid option for fantasy rosters. 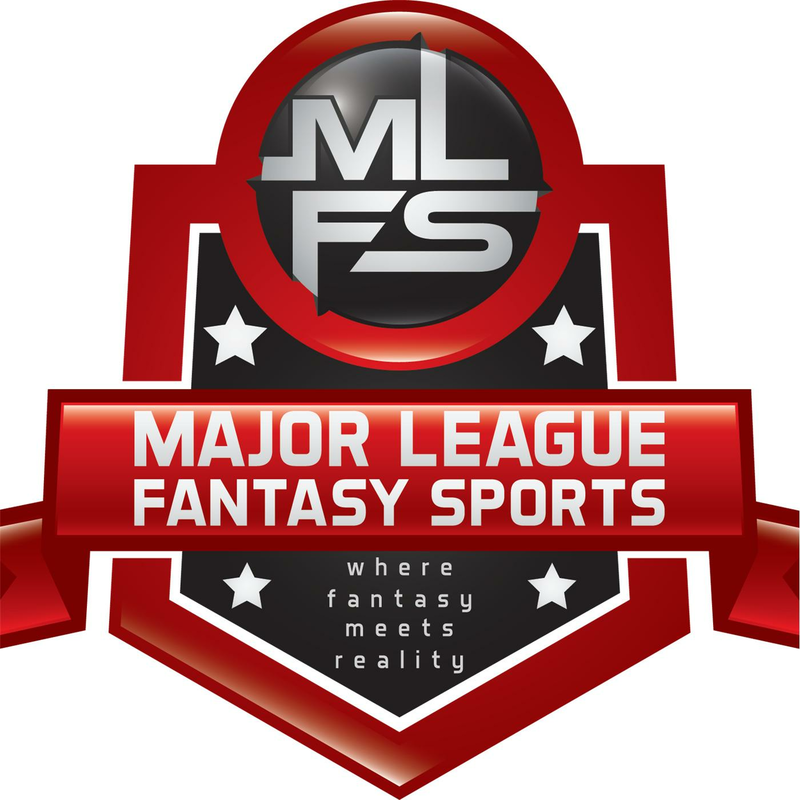 Major League Fantasy Baseball Radio Show: Join host Brian Roach, Jr, and Cole Freel live on Sunday August 26th, 2018 from 8-9:30pm EST for episode #134 of Major League Fantasy Baseball Radio. We are a live broadcast that will take callers at 323-870-4395. Press 1 to speak with the host. This will be our final fantasy baseball show of the 2018 season. Come join us to give our final thoughts on the season as well as the fantasy playoffs and roto league strecth runs. Our guest this week is Bryan Luhrs. Bryan is a writer with majorleaguefantasysports.com. Bryan focuses on the minor leagues and he also is the owner of Real Deal Dynasty Sports.